Inooro FM Kenya Live Streaming Online.Listen over 50 Kenya FM Radio Stations Live Online.Enjoy Live Stream of Kenya FM 24 by 7 Online. 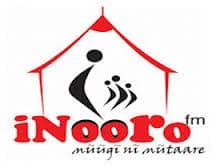 Inooro FM is currently the only pure Kikuyu station offering diverse content to an audience whose expectations are vast. The station’s footprint covers the following areas: Frequencies: Nairobi – 98.9 Fm, NYERI 97.8F.M, MERU 95.1 FM, NAKURU 89.8 F.M or 88.7 FM, ELDORET 107.1 FM ,MOMBASA 98.9 FM. Inooro means a tool for sharpening tools in Kikuyu Language. The station offers news bulletins, business features,interactive talk shows, agricultural related programs, health related issues,vernacular music, sports, politics. FM start playing automatically.you may need to install Adobe Flash player to Listen this Station.Please wait for 30 seconds to listen this Stations(Player loading may take upto 30 Seconds).Please Contact Us if you are facing any probs in listening to this station. Inooro means “the sharpener”. The station aims at sharpening the listeners mind to empower them in facing their day to day challenges. Inooro ni kuuga riuhigio. kuringana na unduire wa mugikuyu. Muthuri niakoragwo na ihiga nja wa thingira wake riria riahuthagirwo kunoora tuhiu. Gukiri uguo, muoroto wa ceceni ya Inooro ni kunoora meciria ma aria matuthikagiriria na kumahingura meciria niguo makorwo na umenyo wa muturire.